Britain’s pro-Brexit political parties are getting ready to do something they have long argued against — running in European Union elections. Anti-EU figurehead Nigel Farage says his newly formed Brexit Party will run in the elections. He says the contest will bring “a rebirth of active Euroscepticism,” driven by Britons’ anger at the failure to leave the EU. Farage’s former party, UKIP, also says it will run candidates in all parts of the U.K.
Brexiteers have condemned Prime Minister Theresa May for seeking to postpone the U.K.’s departure because she has failed to get Parliament’s approval for her EU withdrawal agreement. Brexit? What Brexit? British lawmakers have for the most part avoided the hot-button topic of the day during the prime minister’s weekly appearance before Parliament. Prime Minister Theresa May didn’t face the usual level of harsh questioning during the Wednesday session just hours ahead of a vital European Union summit in Brussels. She was asked more questions about tax policy and police funding than about her request for a delay in Britain’s April 12 departure from the EU. German Chancellor Angela Merkel has set out three conditions for a likely delay to Britain’s departure from the European Union. Merkel addressed German lawmakers on Wednesday, hours before EU leaders meet in Brussels to decide whether to grant Britain’s request for a delay beyond the current Friday night deadline. Merkel said the EU has “expectations” of Britain. She said that the EU’s institutions must be able to continue functioning “seamlessly” and that Britain must conduct elections to the European Parliament in late May. German Chancellor Angela Merkel says the European Union may well decide on a longer Brexit delay than the one sought by the British government, but it would be flexible enough to allow Brexit “very quickly” once London approves the withdrawal agreement. EU leaders are meeting in Brussels later Wednesday to mull Prime Minister Theresa May’s request for Brexit to be delayed until June 30. If no extension is granted, Britain risks crashing out without a deal on Friday. She said of Wednesday’s outcome that “it may well be a longer extension than the one the British prime minister asked for, but we will shape this extension in such a way that whenever Britain has approved the withdrawal agreement, Britain can then complete its orderly withdrawal very shortly after” with a two-year transition period. She didn’t specify exactly how long the extension might be. 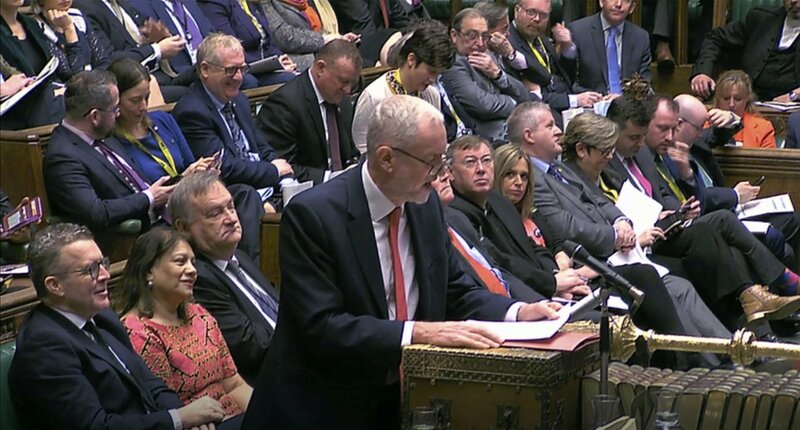 The European Union’s legislature has warned British Prime Minister Theresa May to come to the Brexit summit with clear indications on how she hopes to turn the cross-party talks with opposition leader Jeremy Corbyn into a success.